The Inverell Art Prize (previously called Inverell Competitive Art Exhibition, was judged this year by Armidale watercolourist James White. 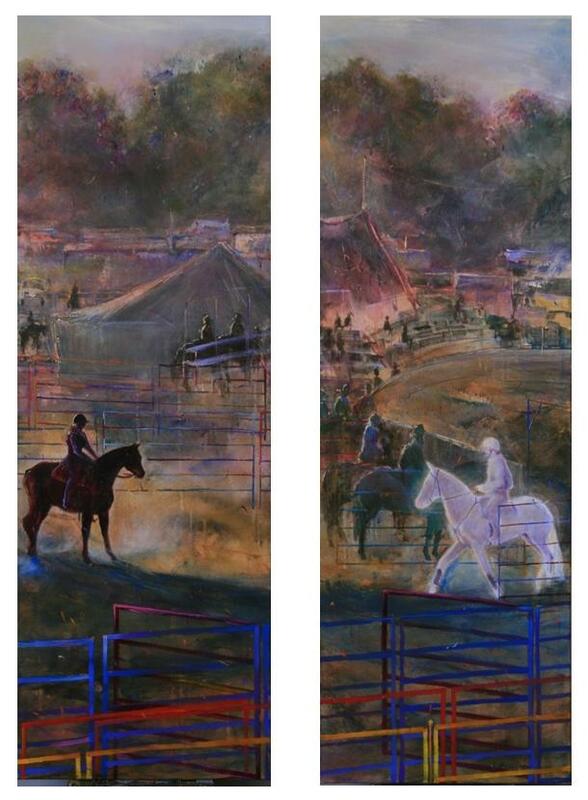 Borderliner Louise Jenkins won the Special Feature section ‘Let There be Light’, with her 2 panelled acrylic ‘Warwick Romance’. Borderliner Maggie Brockie came 2nd in the 3D section. 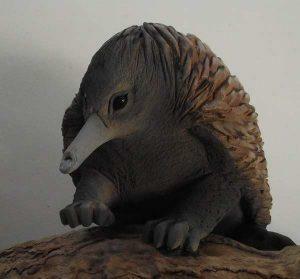 Simply called ‘Echidna’, the sculpture is life size, clay, with under glaze colours and mounted on bush wood. The piece was acquired by the Inverell Shire Council. The piece was last seen publically at ‘Its a Case of Art in the Mill’, and Maggie’s guest artist exhibition at the Artists Collective Studio in Tenterfield. Borderliner Michelle Cockburn was awarded HC in the Open with her acrylic and collage ‘Opera Under Bridge’. The Open and Miniature sections were won by Christine Porter – who has been a tutor at Borderline’s Tenterfield Traveller Workshops in 2014 and 2015. She was also awarded a HC in the Special Feature.